The bike seems to come equipped with IRC tires. IRC Trails GP 21-F / 22-R to be exact. I’ve never heard of IRC tires until now, but at least they look ok. I’ll keep an open mind an see how they work. Pay attention when ordering new tires. You can fit lots of different tires on the rim, but may run in to trouble with clearance. I mounted a 120/90 – 18 Mitas Co2 at the rear, but the swing is not long enough to actually run that tire. The width was ok, but as the tire was a studded winter tire there was only a 3mm clearance to the rear swing AFTER removing the mud flap. Go there -> https://honda250rally.com/2017/11/11/preparing-for-winter/ to laught at my mistake.  What are the stock RIM sizes on the RALLY ? I will be installing rim locks , and eventually Mitas E-07 Dakar tires (dakar version has thicker sidewall that holds up better with less pinch flats when running low tire pressures) .., It is a 50/50 tire with good grip (apparently) on an off road (to an extent for a 50/50 .., and long wearing .., as a lot of time between trips away will be commuting around town. After the stockies wear down I should know which direction to go . Tire choices are very limited here in Indonesia. Davo, I am curious what you eventually found and installed, as I am In Bali as well and will be due for a new set soon myself. Lets connect for a ride some day. How many KM do the stock IRC tires last for? Front and rear. Nor sure, I swapped them before they were done. I’d say they will be good for around 5000 kms depending on how and where you ride. ha comprobado si la velocidad que marca el cuentakilometros es real o marca de mas???? ha podido comprobarlo con algun apartato externo? ?